The district known today as Quarry, stands on Corallian limestone and has its origin in the extensive quarrying industry that provided much of Oxford's building stone in the medieval and later periods. The older buildings in the Quarry do not form a village in the conventional sense, but represent the colonisation of the "hills and holes" left by quarrymen. The survival of these quarries in a residential area is of considerable industrial archaeological interest. 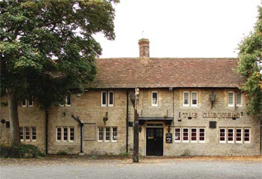 Between 2007 and 2008 the City Council worked with Friends of Headington Quarry to prepare an appraisal of the Conservation Area. The Friends of Quarry is a residents' association which aims to preserve the distinctive character of Headington Quarry Conservation Area and its immediate neighbourhood and to influence the course of its future development. Visit the Friends of Quarry website for full details.